Thomas Bloor was a former pupil at West Street School and lived at 17, Garden Street. He had joined the navy in 1915 as a Boy Seaman. H.M.S. Hampshire, a heavy cruiser, was taking Lord Kitchener and his staff from the naval base at Scapa Flow to a conference in Russia. 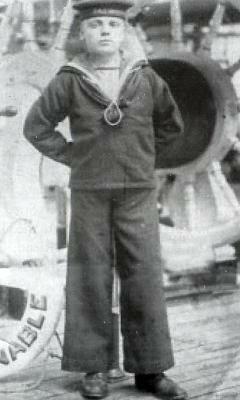 Thomas felt safe in the 11,000 ton cruiser anchored at Scapa Flow in the Orkney Islands. Her captain (Herbert Saville) was experienced and the ship had been especially chosen to take Lord Kitchener to Russia. On the 5th June 1916, the weather was bad and at 4.30, Kitchener boarded – anxious to be underway. Whilst sailing past the Island of Hoy in 50 knot gales and heavy rain, the ship struck a German mine. HMS Hampshire sank shortly after striking the mine with the loss of over 600 crew and passengers. There were only twelve survivors. Lord Kitchener perished and his body was never found. Thomas Bloor was likewise never found. 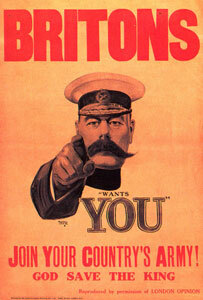 Lord Kitchener was the architect of the Pals Battalions that fought and died on the Somme and whose face is known to millions from the “Your Country Needs You” recruiting poster. Thomas is commemorated on the Portsmouth Naval Memorial.